Transform your bathroom into a luxurious, comforting getaway. From demolition, framing, plumbing, electrical, drywall to the finishing touches like tiled floors, trim work and fixtures throughout, Habitat Building Group is equipped with the knowledge and experience to help you achieve your goal of a beautiful bathroom. With bathrooms, you're going to find that labor makes up a big part of the total cost - most likely about half. Most of the time when opening your floors up, its best that all new plumbing is upgraded. Then, just like new kitchens, if you want high-end fixtures and products, that's going to cost more. Do you want marble counters on custom cabinets? 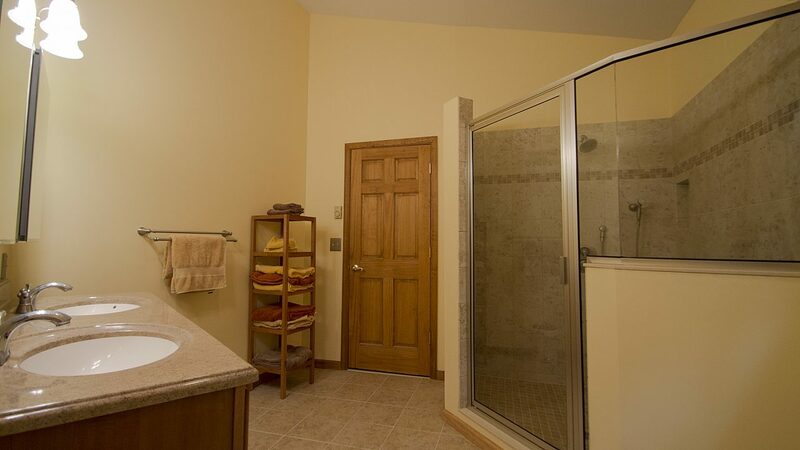 Separate bathtub and shower with tempered-glass doors custom - fitted for the shower? Two sinks plus dual - flush toilet? These are all things to decide while planning your bathroom renovation and we're here to help you through these tough decisions. Need a contractor for Bathrooms? We can help.